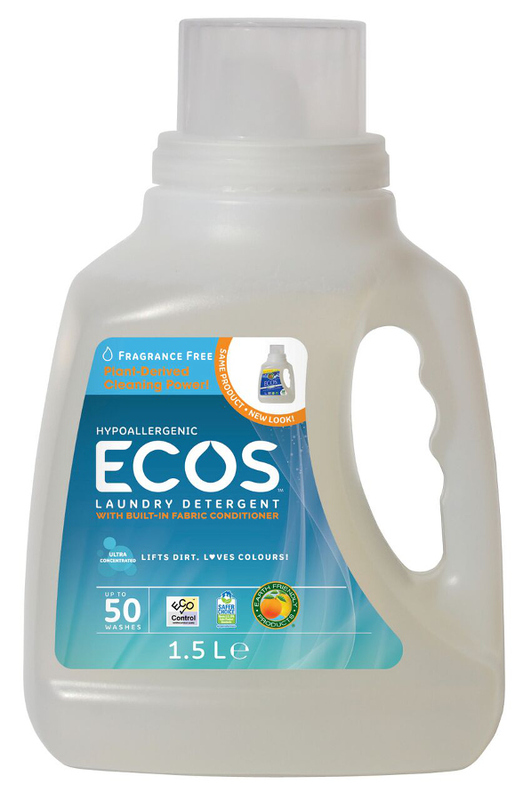 This lovely fragrance free laundry liquid from Earth Friendly is perfect for sensitive skin. Made from plant based extracts and contains a cellulose based optical brightener, soy based fabric softener and essential oils. 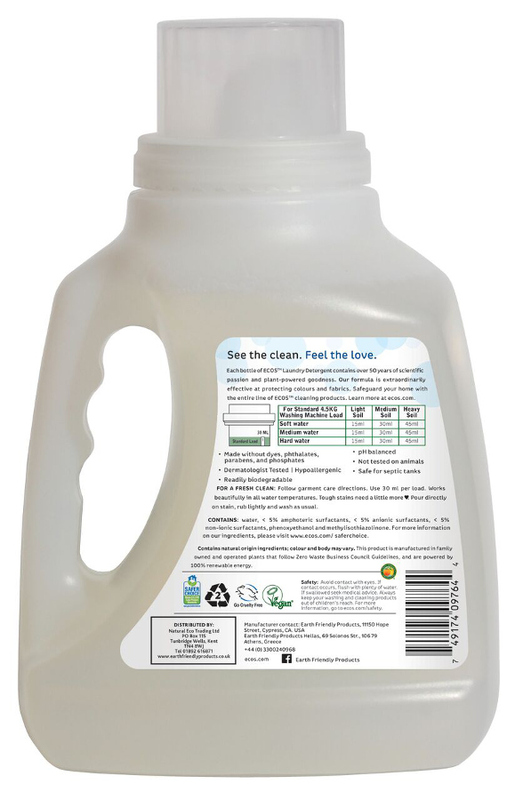 The laundry liquid is vegan and PETA approved (People for the Ethical treatment of Animals). 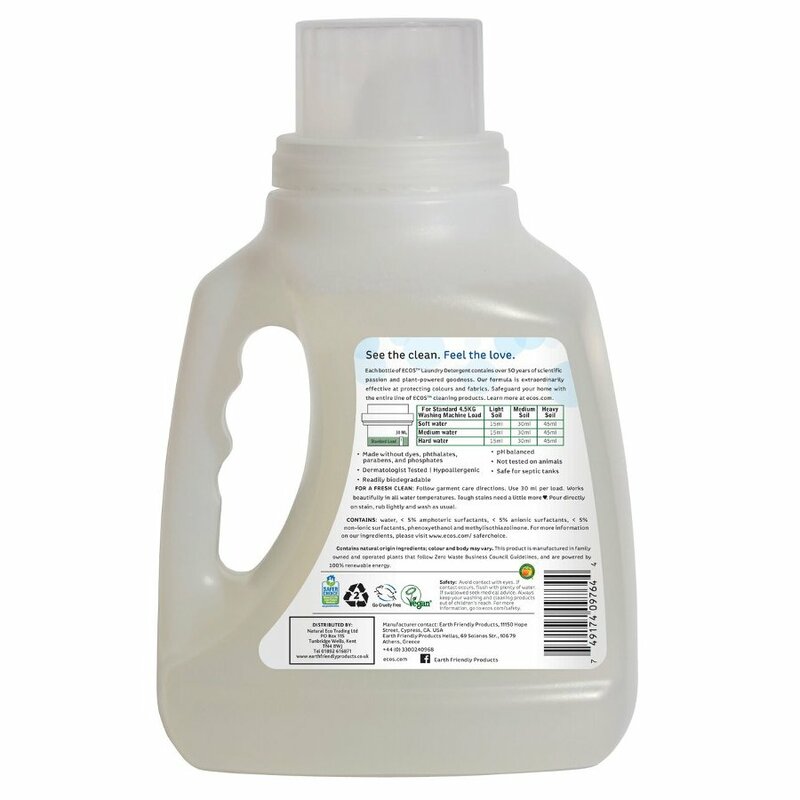 It's highly concentrated too giving great value for money as well as cleaning power - a little goes a long way. Voted Highly Commended in both Health Food Business and Natural Lifestyle magazines best Eco product of 2013.
water, < 5% amphoteric surfactants, < 5% anionic surfactants, < 5% non-ionic surfactants, phenoxyethanol and methylisothiazolinone. 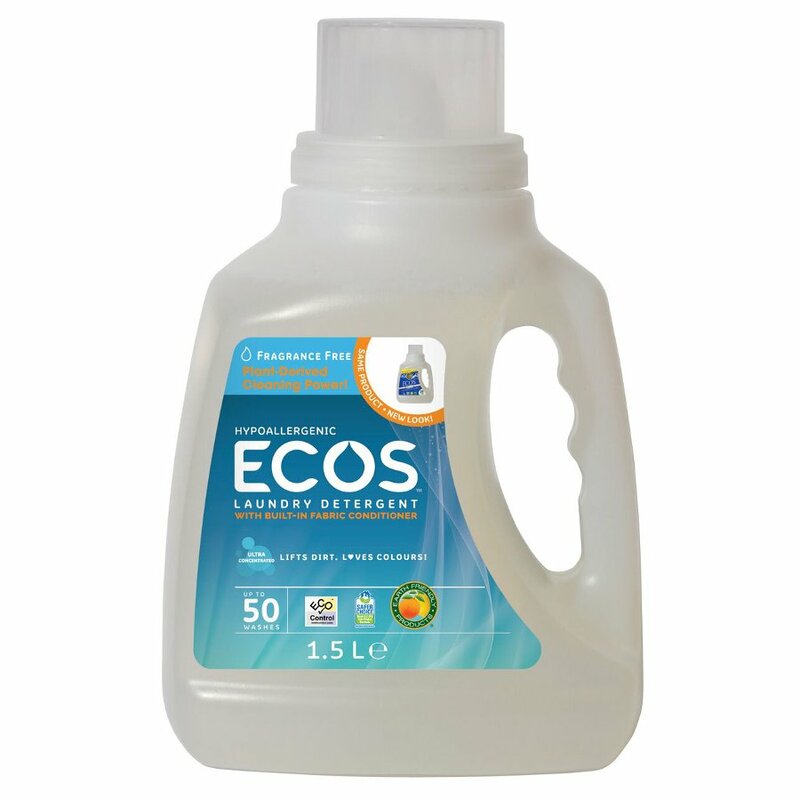 There are currently no questions to display about ECOS Concentrated Fragrance Free Laundry Liquid - 1.5L - 50 Washes.